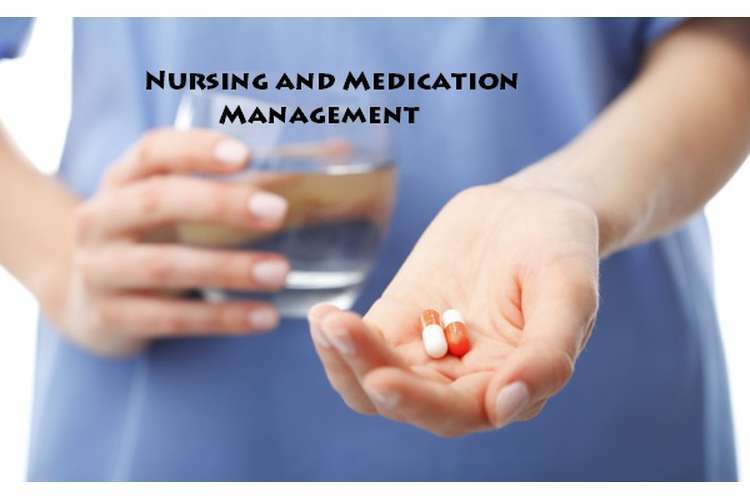 In this Nursing and Medication Management Assignment Solution a case study of a 68 year old female patient would be discussed, she is diagnosed of ischemic CVA and haemorrhagic CVA while at the same time she is having arterial fibrillation. She is given Sertraline and Retinol HC currently. 1) What is the pathophysiology associated with haemorrhagic and ischemic CVA and discuss the precipitating factors for each? Ans:- A CVA or a cerebrovascular accident is commonly known as a stroke and it can be identified as a situation when blood supply to the brain is partially or fully blocked to a region which causes loss of brain functionality. It can occur in two forms namely haemorrhagic CVA and ischemic CVA. In a haemorrhagic CVA sudden bleeding in one of the blood vessels of brain bleeds and the resultant clot formation blocks the supply to the corresponding region. There are various causative reasons of such developments in a individual like high blood pressure, high cholesterol level, diabetes, tobacco smoking and arterial fibrillation as well (Burns, & Grove, 2009). An ischemic CVA occurs because of partial or complete blockage of a vessel because of cholesterol deposits in it, embolism which is a blood clot formed somewhere else in body and travelled to the brain and lodged in one of its narrow vessels. Patho physiology in both conditions is also known as ischemic cascade and one event follows the other in a short span of time. A brain part ceases to functions within 60-90seconds if its oxygen supply is interrupted and the damages caused to the brain is almost irreversible. Within 3 hours of ischemia a brain part starts damaging irreversibly which is known as brain infraction. Biologically it can be understood that lack of oxygen and glucose in brain tissues inhibits the much needed ATP generation activity in cells and without these power supplying chemicals important functions of brain cells like ion exchange mechanism do not take place and after a period of time loss activity like this causes permanent damage to the cells. Another development which is observed with ischemia is that it also induces production of oxygen free radicals and other reactive oxygen species. These react with and damage a number of cellular and extracellular elements. Damage to the blood vessel lining or endothelium is particularly important (Craig & Stitzel, 2004). On the other hand a haemorrhagic injury to the brain which can cause hematoma can also block the vessel by compression and pressure on it. Size of the hematoma continuously increases after injury and after some time of injury a stroke can be experienced in rare cases. 2) How would you manage the nursing care of Mrs. Middleton in the first 24 hours? Justify your answer. Ans:- first 24 hours of treatment and management are very critical for a CVA patient and it is very important that she is provided with optimal care and supportive treatment. In this case patient is having signs and symptoms like high blood pressure of 200/110, pulse rate is 78 and her oxygen saturation level is 98 percent only. It is also observed that she rates a 12 on Glasgow coma scale and her temperature is 36.8 degree. In such situation along with fibronlyetics she also need medications and treatment to remove the underlying causes. First line of treatment includes breakage of clot in the brain by thrombolysis procedure or doing a thromboectomy. In this condition a surgery is not possible for the patient there for she should be started on RTPA immediately and at the same time her complete blood count should be done periodically after every 4 hours to assess if there is any specific impact on platelet count (Bullock, Manias & Galbraith, 2007). Further management would include administration of beta blockers like metoprolol 40 mg stat and then 40 mg bd dose for first 24 hours to maintain blood pressure. Further in initial 24 hours round the clock monitoring of all vital signs is very important. A record chart would be maintained of fluctuations in pulse rate and respiratory rate every 2 hours. In order to manage respiratory irregularity patient can be transferred on to a respiratory support system or a ventilator which will also help in reaching 100 percent saturation of oxygen. Primary aim of initial 24 hours of treatment is to reduce the injury to the brain to a minimal and ensure that blood supply to the organ affected is maintained in minimal possible time. Anti coagulants like warfarin would be started immediately in patient and they will kept as a maintenance dose for life time after final assessment of prognosis to avoid repetition of stroke (George, 2000). 3) Is thrombolysis indicated for Mrs. Middleton? Discuss the use of thrombolytic agents for stroke patients and provide a rationale for your answer in this case. Ans:-thrombolysis can be explained as the process of breaking down the clot formed in brain through different pharmacological products. In this case patient is indicated for thrombolysis because she at her age and with her medical history doing surgery is not a good option. Patient is also suffering from high blood pressure and her sugar level is increased as well, they are also indicator of performing thrombolysis rather thanconducting surgery for the patient. In order to do the thrombolysis, thrmbolytic agents would be administered to the patient as a bolus dose and then as maintenance dose. Infusion of analogues of tissue plasminogen activator which activates the plasmin is done. Commonly used thrombolysis agents are streptokinase, urokinase, reteplase, tenecteplase etc. There is an advanced mechanism of thrombolysis as well which is known as ultrasound accelerated thrombolysis. This is considered to be better than standard catheter based thrombolysis and it takes 10-12 hours lesser for resolution of clot. However this treatment is still undergoing my phases of trials and testing and it is available in limited hospitals only. There is a ongoing risk of intra cranial haemrrhogae also in patient who are undergoing thrombolysis and this is the reason why dosages should be properly calculated and patient should be monitored and periodically checked for platelet count and other coagulation factors. In my opinion she should be started on streptokinase immediately and later she should be transferred on to aspirin in low dosages for maintenance of platelet count and viscosity of blood. Breaking down the clot is one part of entire thrombolysis treatment in which already formed clot would be broken down, this will reduce the immediate risk to the patient and in long term patient can be given aspirin in order to keep further thrombus and emboli from formation (Kozier, et al. 2004). After thrombolysis secondary treatment is much more important and rehabilitation of patient is also a part of the treatment plan. Stroke rehabilitation is the process by which those with disabling strokes undergo treatment to help them return to normal life as much as possible by regaining and relearning the skills of everyday living. It also aims to help the survivor understand and adapt to difficulties, prevent secondary complications and educate family members to play a supporting role. Since patient is suffering from partial paralysis her basic functionality is also compromised and thrombolysis alone cannot manage this entire situation. Thus it is very important that skin ointments, artificial tears should be given to the patient. A good nursing care plan would include all such activities thoroughly and help in improving the quality of life for patient (Kathleen, 2002). 4) The doctor is considering prescribing aspirin, carvedilol and atorvastatin for Mrs. Middleton following her CVA. Do you agree with his decision? Outline your understanding of these drugs and any benefits or risks associated with their use in this case. Ans:- Aspirin is a salisylicacid drug which is also known as salicylate drug which is often used as a analgesic drug. It is also observed that doctors frequently prescribe aspirin to the patients who are at high risk of cardiac arrest and stroke. This drug can be given to the patients for chronic usage comfortably because it has relatively lesser side effects. 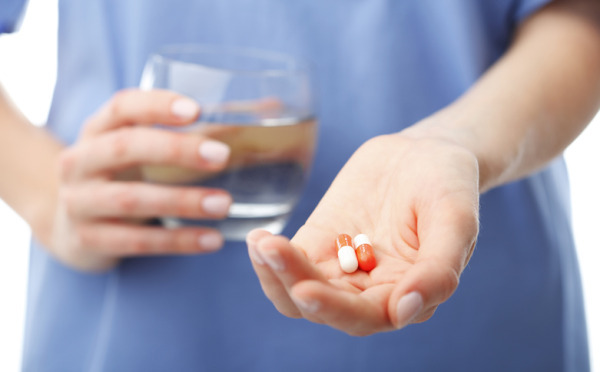 It is very easy for a patient to comply with this drug as it has an oral route of administration and it can be taken in extended release form where only tablet a day would be fine. Similarly it is an over the counter medication in many countries and it is an unscheduled drug with very low potential side effects. One of the major side effects of aspirin is GI tract irritation and tinnutitis in case of over dosage. Its binding percentage is 99.6 percent with protein and it is completely absorbed from the small intestine with a half life period of 3-5 hours depending upon the dosage. It is a appropriate choice of drug for patient considering her age, medical history and current diagnosis (Funnell, Koutoukidis & Lawrence, 2009). Second drug which is chosen for patient is atrovastatin, which is calcium based salt used for lowering of cholesterol in blood. In this condition atrovastatin is given to reduce the cholesterol deposited in brain vessels which is causing ischemic CVA. This drug is primarily contraindicated in pregnancy, hepatitis, jaundice, breastfeeding etc. Since this patient is not undergoing through any of these stages it is right decision to start her on atrovastatin. Atrovastatin would also help patient in lowering her blood pressure which is one of the causative reason of stroke in patient. This drug is also indicated in patients of type 2 diabetes as a stroke prophylaxis. This drug is a part of concomitant therapy which includes bile resin which will further help in prevention of plaque formation in blood vessels. Patient should be properly analysed of developing a spike in CPK or myopathy, in both conditions atrovastatin should be discontinued immediately. Third drug of choice in this case was carvedilol which is a selective beta blocker. It is marked as a drug of choice in case of high blood pressure and congestive cardiac failure. It can be given through oral route of administration and it has a protein binding capacity of 98 percent. It is also observed that half life period of drug is 7-8 hours which makes it a good choice of drug for hypertension management in patients who would need it in longer term perspective (Nagle, 2005). 5) What is the significance of atrial fibrillation in this case and discuss possible pharmacological interventions that may be considered for Mrs. Middleton. Ans:- In a patient of arterial fibrillation there is a high probability of ischemic stroke to occur, according to a recent data published by Americal stroke association patient suffering from arterial fibrillation would have 5 times higher probability of suffering from stroke. Risk of stroke increases in patients of afib because it allows blood to pool in heart which results in development of thrombus and embolism which will cause stroke. While it can occur at any age, Afib is more common as people grow older. About 5 percent of people 65 years and older and one in every 10 people over 80 have Afib and it’s more common in those with high blood pressure, heart disease or lung disease (NSA, 2009). Funnell, R., Koutoukidis, G.& Lawrence, K. (2009) Tabbner's Nursing Care (5th Edition), page 72, Elsevier Pub, Australia. Bullock, S, Manias, E. & Galbraith, A. (2007) Fundamentals of pharmacology, (5th ed.). Sydney, Pearson Education Australia. Craig, C.R., & Stitzel, R.E. (Ed), (2004) Modern pharmacology with clinical applications (6th ed.). Boston: Little, Brown and Co.
Kathleen, K. (2002) Pharmacology for Health Professionals. Amsterdam: Elsevier. ISBN 0-7295-3664-5.